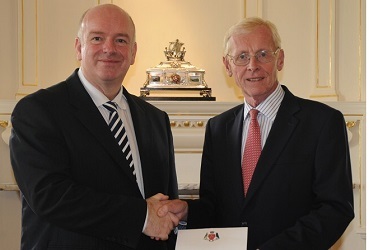 The Island’s new chief minister says it’s time to work together and put personal agendas to one side for the benefit of the Isle of Man. Middle MHK and former Health and Social Care Minister Howard Quayle was chosen for the top job today (4 Oct) polling 12 votes in the House of Keys and nine in the Legislative Council. His nearest rival Alf Cannan secured the votes of nine Keys colleagues, but none in the upper house. Kate Beecroft polled only three - those of fellow LibVan members Julie Edge and Lawrie Hooper and her own. Mr Quayle, who succeeds the retiring Allan Bell in the role, says it’s vital there is a team effort from here on in.